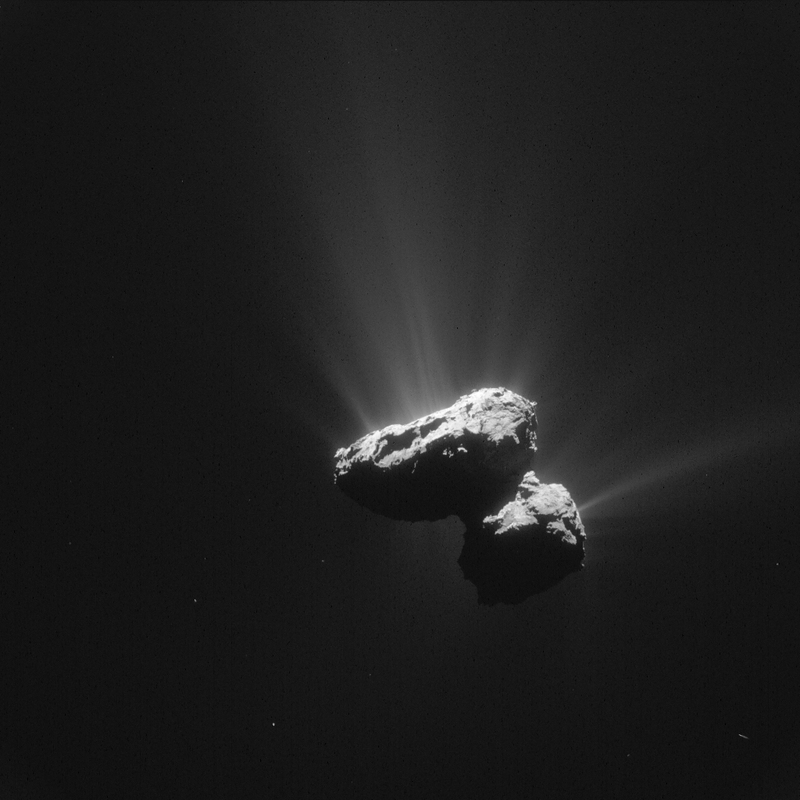 Comet 67P/Churyumov–Gerasimenko, or 67P, has been the focus of intense study by the Rosetta spacecraft since 2014. One of the key mysteries scientists have been trying to figure out is how the comet became the odd “rubber duck” shape that it is, with its two distinct lobes. 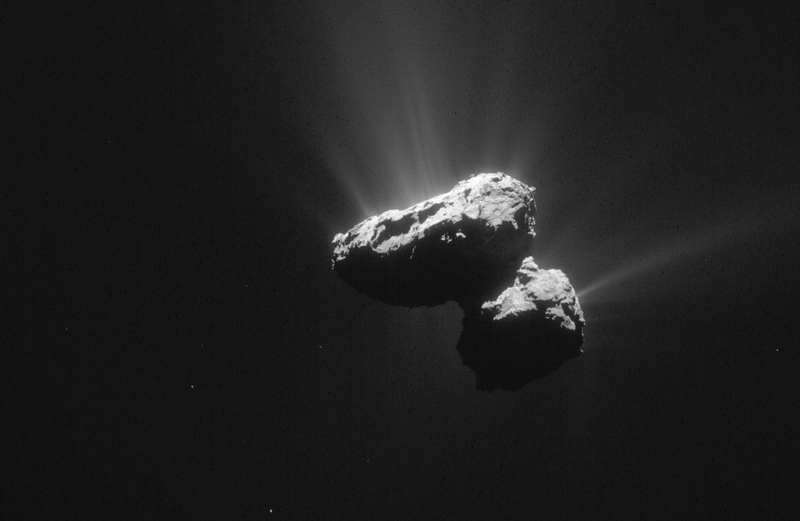 Now they think they have the answer: Comet 67P was formed by the collision of two other, separate comets which fused together to form its distinctive shape. Since August 2014, the Rosetta spacecraft has been orbiting Comet 67P/Churyumov-Gerasimenko, providing an unprecedented look at an active comet as it moves closer to the Sun in its orbit. As expected, the level of activity increased the closer the comet was to the Sun, with jets of water vapour, gas, and dust becoming bigger and more prominent. The comet reached perihelion, the closest point to the Sun on its orbit, on Aug. 13, 2015. 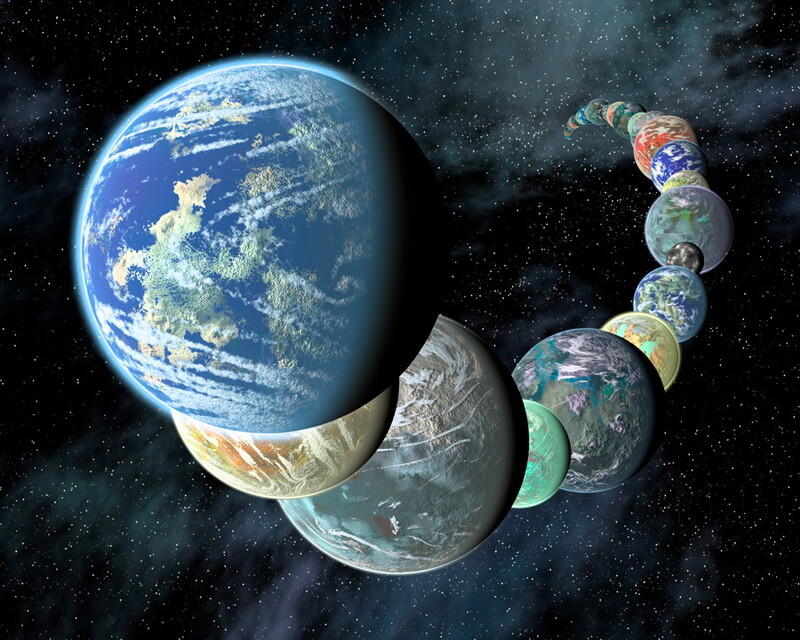 For the first time ever, a spacecraft is observing this activity close-up, as it happens. 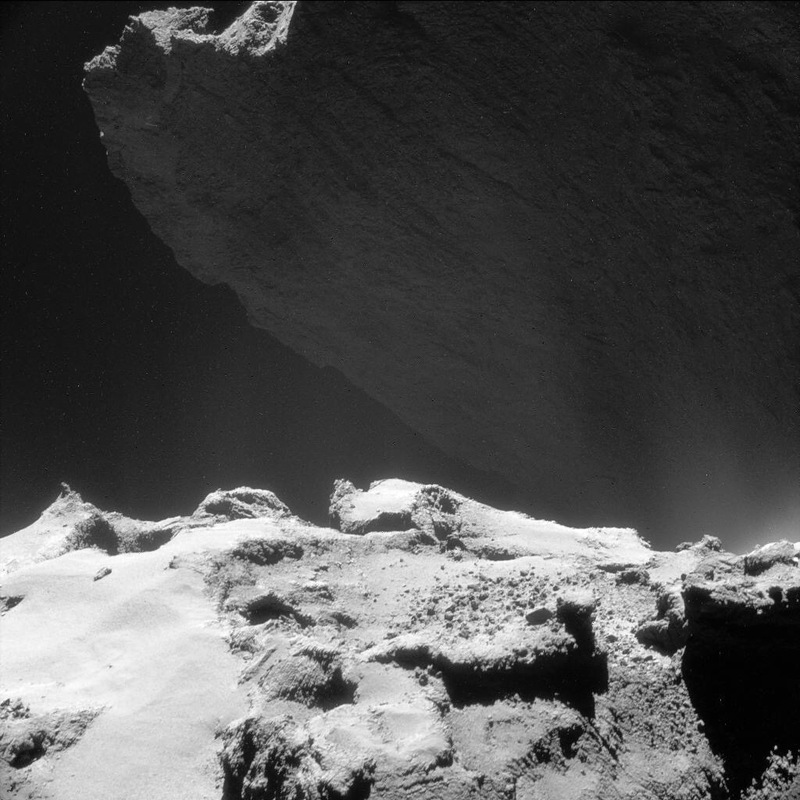 But now, scientists have been noticing other dramatic and rapid changes on the comet’s surface as well, which haven’t been explained yet. 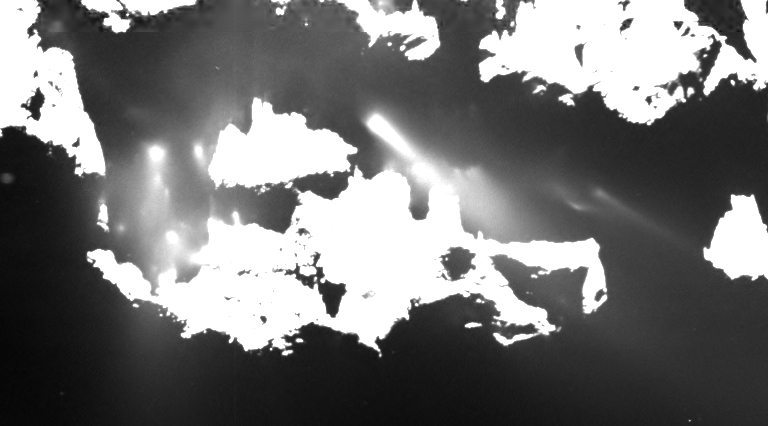 A stunning view of the Hathor and Seth regions on the comet, taken by the Rosetta spacecraft. The cliffs of Hathor loom in the background. Some jet activity can also be seen in the closer foreground. See also the Rosetta blog post here.